​Pre-sized Digital Art Backgrounds for promoting your book on social media platforms like Facebook, G+ and Twitter. ​Postgrounds or PGs are pre-sized digital art backgrounds that serve to frame and highlight your book cover on your social media posts. Created to fit a wide variety of social media platforms, PG’s make the optimum use of each platform's posting space. Want to tell your readers about a special event, your latest blog interview, or that you received another 5-star review? Use a PG to fill your entire post space, make your posts share-friendly and grab your followers & fans attention. Offered in full color, sepia and B/W, our designs make choosing a complimentary background for your book cover easy. Facebook, G+, Tumblr, instagram or Twitter, simply place your cover on our vibrant PGs ... and post. Need your book's tagline or other added? Our custom department can do that. Custom or premade, PG's are timesavers and offer an exciting alternate to posting the same image of your book cover repeatedly. PGs are especially great at renewing interest in your book after the buzz of the cover release or blog tour has simmered down. They are also an excellent tool to reinvigorate sales of your older books and your re-releases. Custom Postgrounds are available through our Character Illustration and E-book Cover Design packages or through our Custom Digital Design services. Premade Postgrounds can be purchased through our Etsy Shop. Just make your selection, purchase and download. Your folder will contain the selected PG in the appropriate sized JPEG & PNG digital files. Just drop your book cover in place and post. 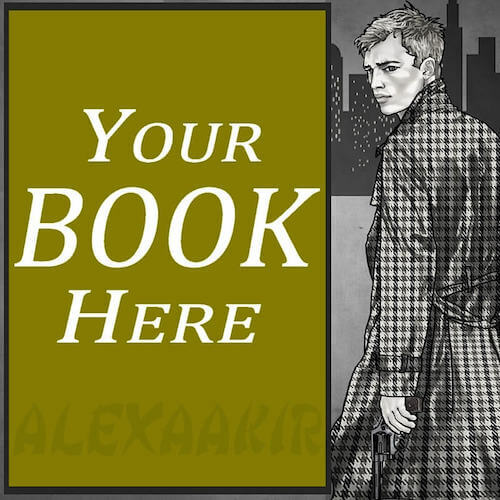 Need us to place your book cover? Click the Custom option on our Etsy Shop's menu and we'll do it for you.